ProForm 520 ZN Treadmill Review: Is it a #Good Buy in 2019? Wrap Up: Is the ProForm 520 ZN Treadmill a Good Buy? The ProForm 520 ZN Treadmill is one of the good mid-range models available on the market right now. 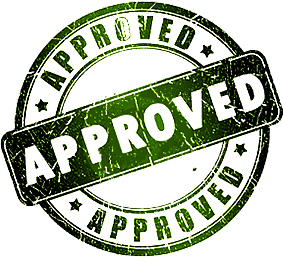 It offers many excellent features coupled with solid built-quality and reliable warranty. 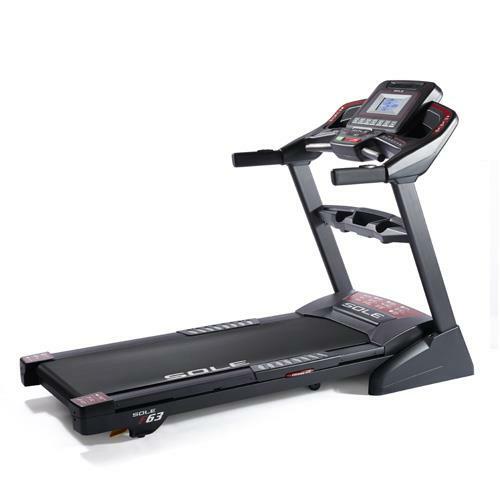 The treadmill features a powerful 2.5 CHP Mach Z Motor and comparatively wider running surface. 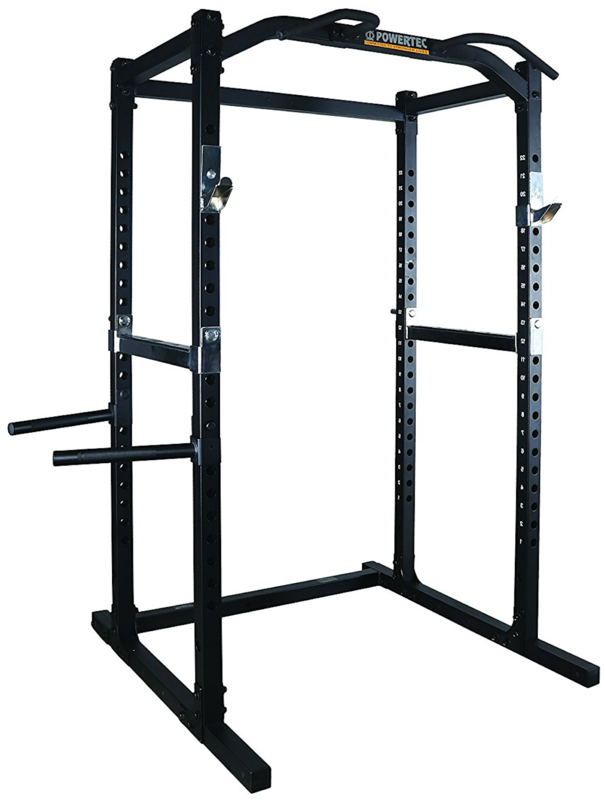 The tread belt is 20 inches wide and 55 inches long to support variety of user heights. All the key features such as incline and speed can be controlled from the large backlit display. 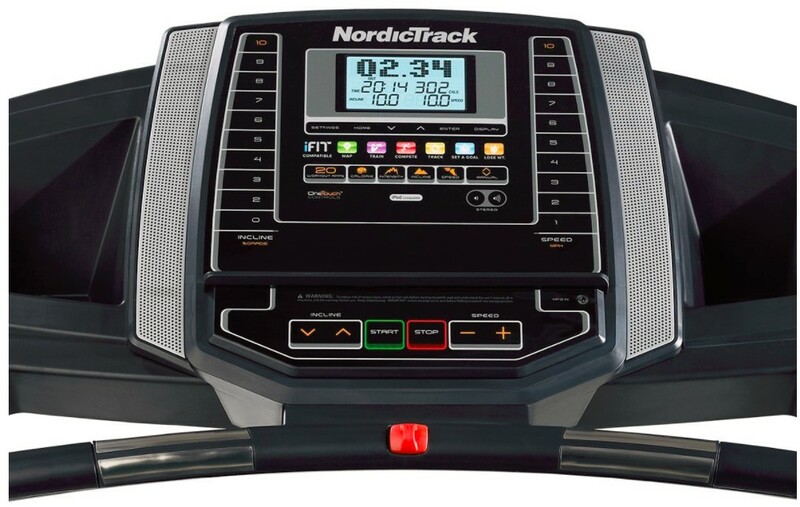 You can also make use of up and down buttons located on the treadmill to physically adjust speed and incline levels. The maximum speed limit is 10 MPH while you can automatically incline and decline from 0 to 10%. What we really love about the 520 ZN Treadmill is its shock absorption system. It features the ProShox Cushioning System to absorb most of the rough impact during each run. The ProForm 520 ZN Treadmill is easy to fold and store when not in use. Thanks to the much-needed SpaceSaver Design that does not carry a massive foot print. We found the treadmill operation super-quiet and comfortable. Since, it is a 1.9″ Precision-Machined, you will not experience noise and friction due to Balanced Non-Flex Rear Roller. The 520 ZN Treadmill also keeps you entertained during long workouts. 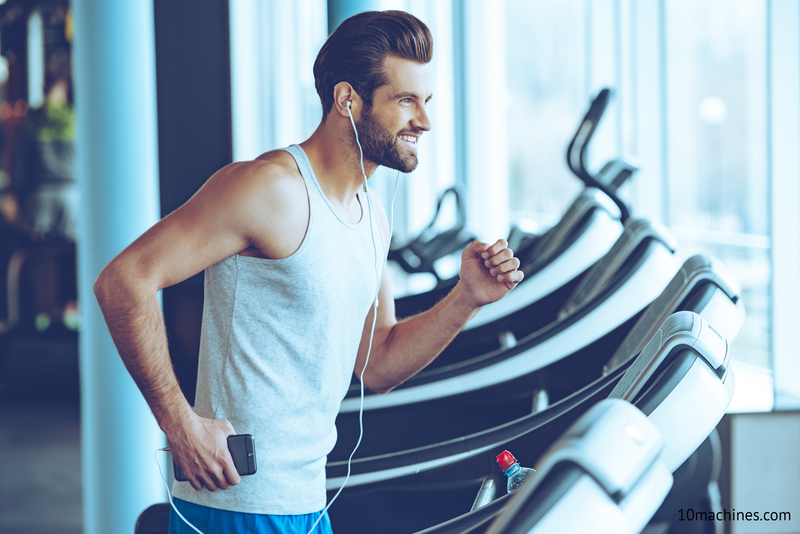 You can now connect your smartphones, iPods or MP3 devices with compatible slot on the treadmill to playback your favorite music. The ProForm 520 ZN Treadmill is nicely equipped with 18 Workout Apps to get maximum exposure out of each exercise session. 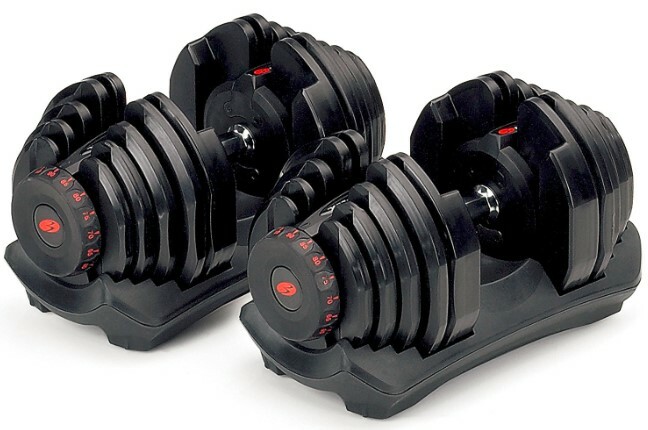 You can quickly customize or utilize pre-programmed workouts for best fat burn and muscle toning. 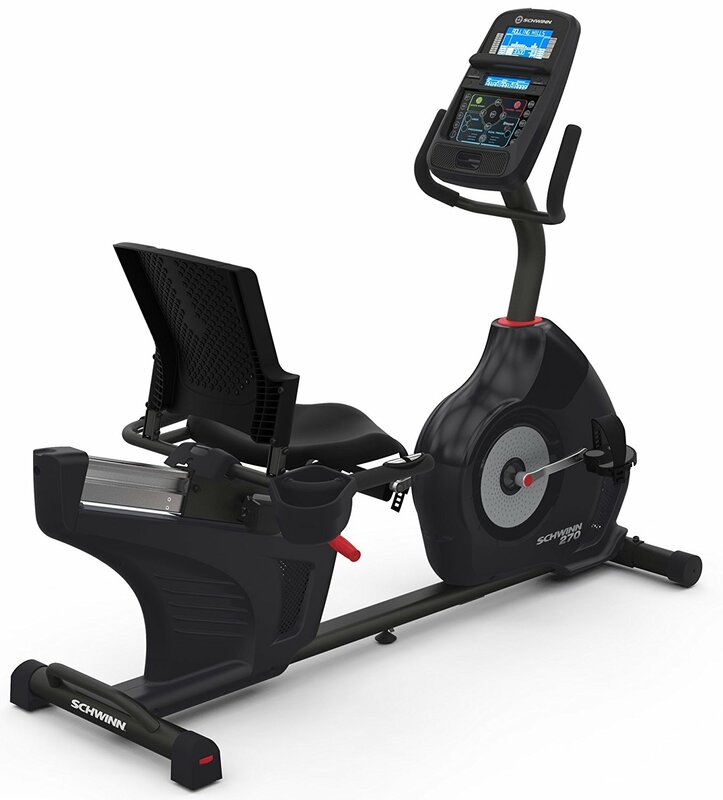 If you are someone who likes to monitor heartrate, the 520 ZN Treadmill definitely offers your EKG Heart Rate Monitor connected with handlebars. It also features the CoolAire Workout Fan to keep you active and refreshed during intense workouts. The ProForm 520 ZN Treadmill supports up to 300 lbs of max user weight. At the current price point, we were surprised to see the solid lifetime warranty on frame, 25 years coverage on motor and one year on parts and labor. 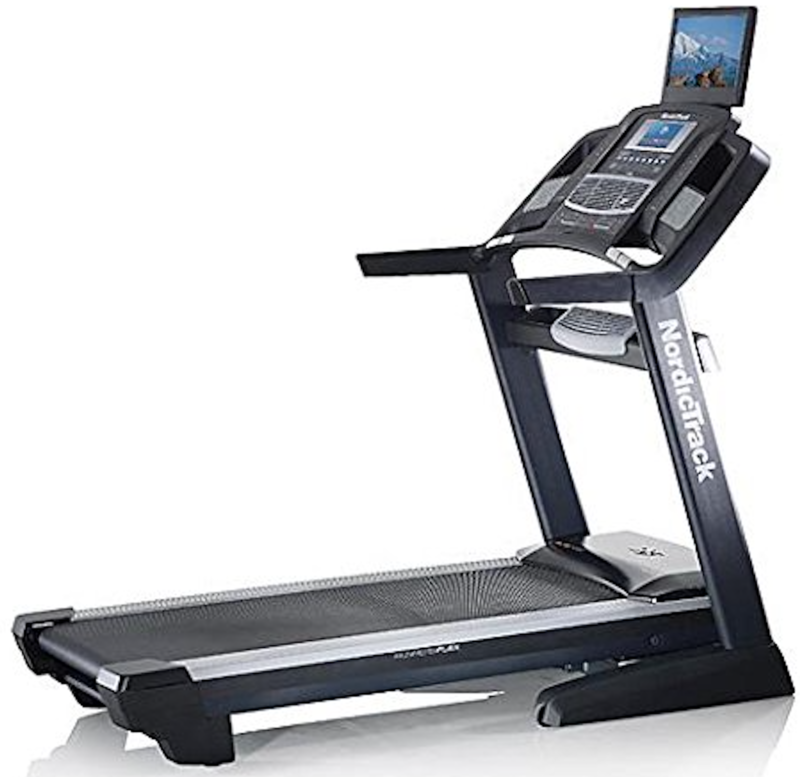 Overall, this is an awesome treadmill for home-use and provides excellent value for your money. Read on the full ProForm 520 ZN Treadmill Review. 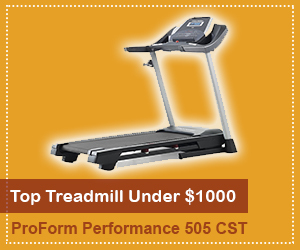 Click here to see the price of the ProForm 520 ZN Treadmill on Amazon. The ProForm 520 ZN Treadmill is a midrange option as far as treadmills go. That means it’s going to have enough horsepower and console options to satisfy the needs of most runners. The 55 inches of tread belt is good enough for most runners. If you are very tall, however, or have longer strides, this may not be enough running surface for you. 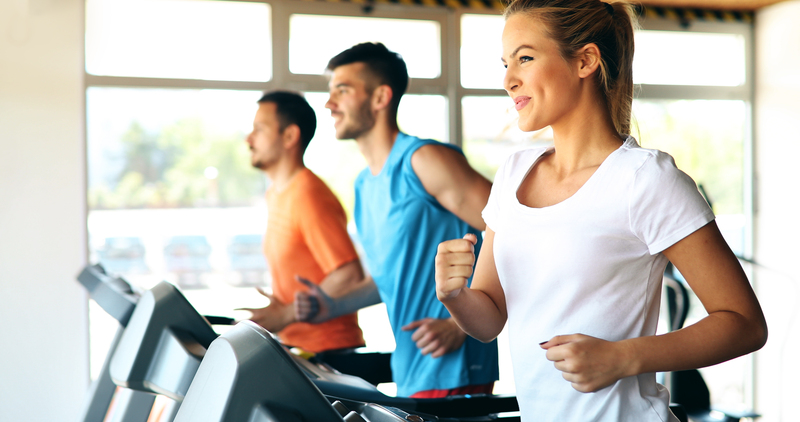 When searching for a top-rated treadmill, you want to compare your priorities for your specific budget range. For an affordable option like the ProForm 520 ZN Treadmill, you need to consider all the important features. 2.5 CHP Mach Z motor: The 2.5 CHP rating means that it is powerful enough to support all your running needs, but this horsepower is still lower when compared to higher-end treadmills on the market. 0-10 mph speed: The QuickSpeed option enables you to change your pace fast with just one touch on the console. 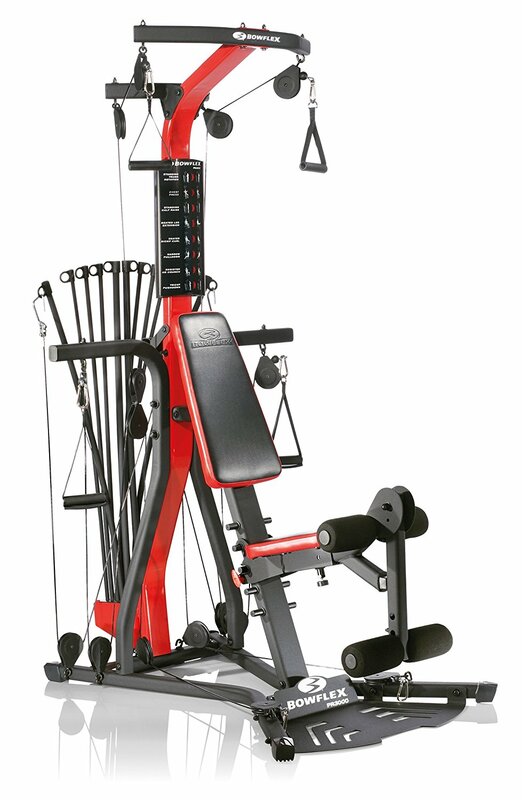 0-10% incline: The adjustable incline can add good intensity to your workout. ProShox Cushioning: ProForm has trademarked their ProShox cushioning system, which is designed to absorb the impact of walking or running on your body. Grip Pulse EKG heart rate monitor: It contains sensors to help you check your heart rate and stay in the right zone for your activity. 1.9″ Precision Machined and Balanced Non-Flex Rear Roller: The rear roller is designed in the best way to reduce friction on the tread belt. 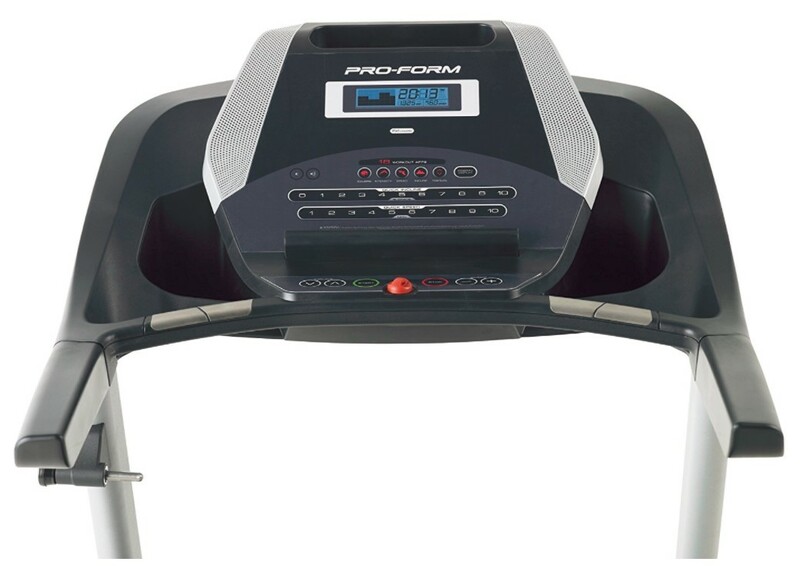 SpaceSaver design: The ProForm 520 ZN is a pretty big treadmill, but the brand utilizes a SpaceSaver design that allows you to fold the treadmill out of the way in one easy movement. 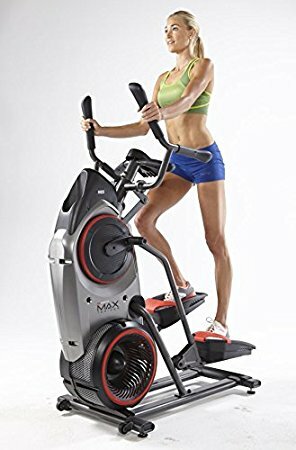 CoolAire fan: The CoolAire fan allows you to stay cool during your workout, and it features a one-touch adjustment button on the console. 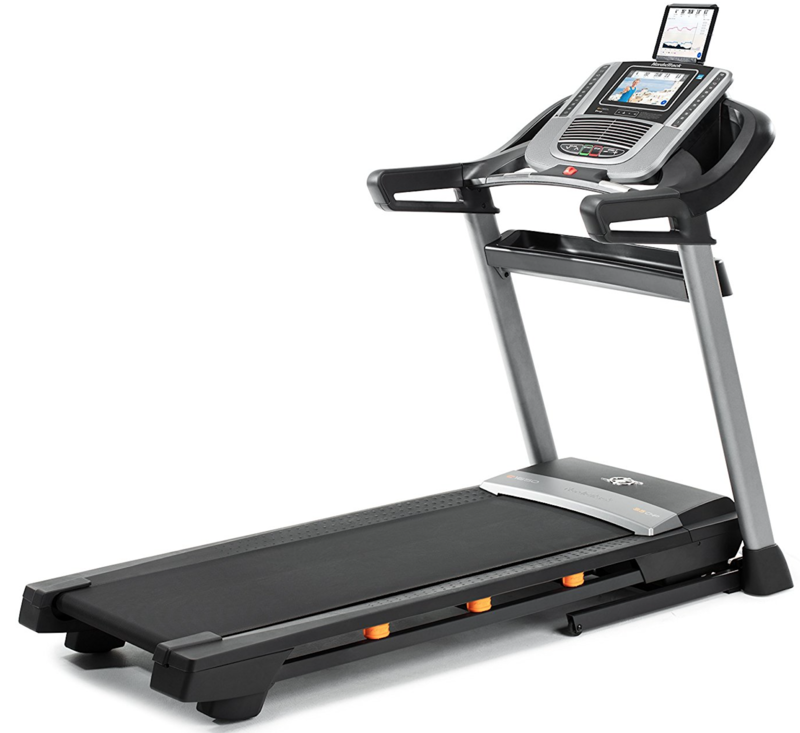 Max weight capacity: The manufacturer rates this treadmill as having a weight limit of 300 lbs. Backlit display: The ProForm 520 ZN Treadmill features a large backlit display. This gives you the ability to stay motivated and on top of your workout as you track your statistics. iPod Compatible: The iPod music port and sound system allow you to listen to your favorite music or podcasts during your workout. 18 workout apps for variety: The variety of pre-programmed workout apps enable you to change your exercise activity as often as you’d like. 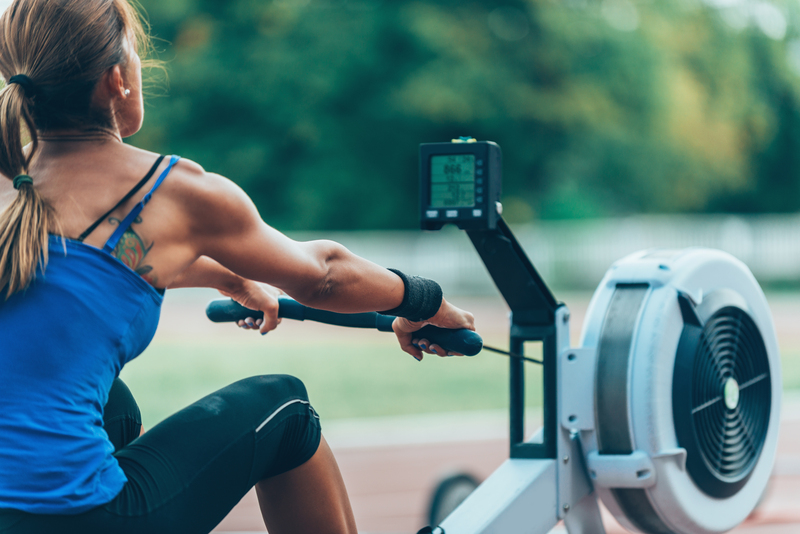 Workout Data: While some of the cheaper treadmills do not keep track of your workout data, the ProForm 520 ZN Treadmill will display your distance, calories burned, time spent and workout speed. The warranty is pretty standard. The frame has a lifetime warranty, but the motor is only covered for 25 years. There is a one-year warranty for parts and labor. The shipping cost of the ProForm 520 ZN Treadmill can vary based on your provided location and chosen type of delivery. 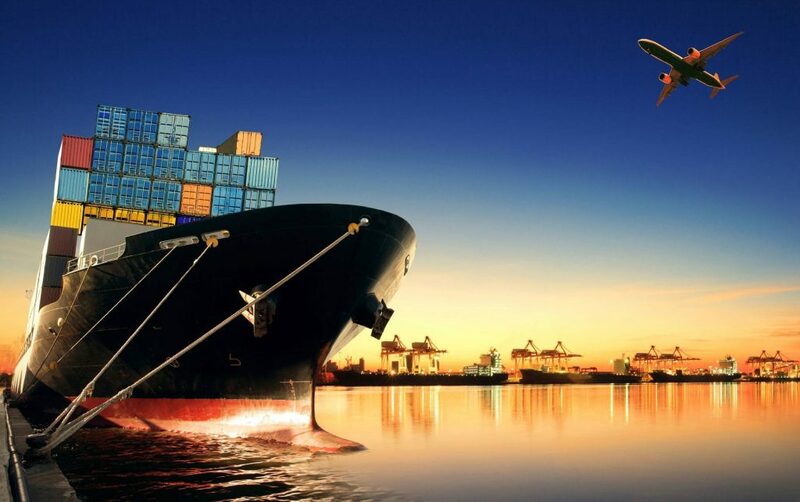 We recommend you to check for online retailers that offer free shipping to help save some money. Although, the ProForm 520 ZN Treadmill is one of the basic ProForm models but it can still take some time to put together. Because of the heavier built, you may need some extra help to get its parts out of the box. Before starting, you will need few tools such as adjustable wrench, Phillips Screwdriver, needlenose pliers and hex keys. BTW, the hex keys are already inside package when you open it. 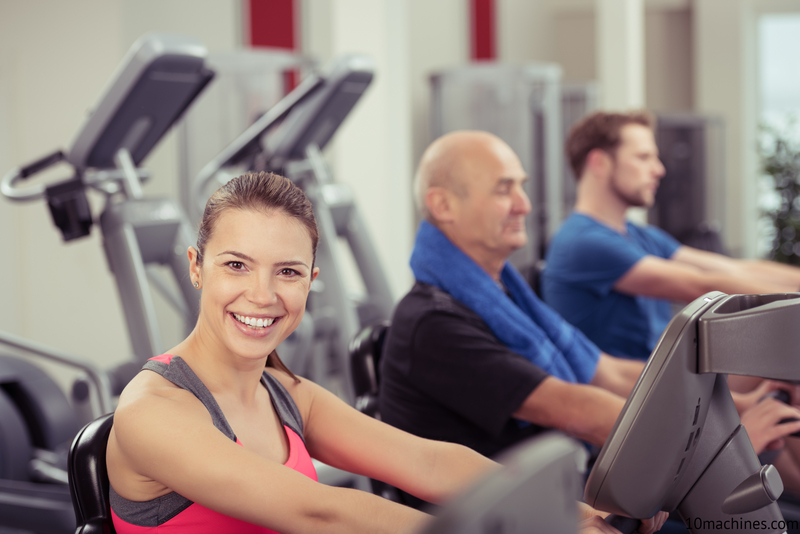 In order to quickly assemble the treadmill, you need to follow the well-illustrated guidelines provided in the user manual. It will take around 2 to 3 hours to fully assemble the ProForm 520 ZN Treadmill. We really like the overall build quality and innovative design of the ProForm 520 ZN Treadmill. Although the onboard computer doesn’t have as many fancy options like expensive models do, it does contain some pretty solid 18 pre-programmed workout apps. The speed and incline options are good enough to satisfy needs of majority users. Even the best treadmills only offer slightly better speed than this model. It is very quiet and offers noise-free operation. The tread belt ran pretty smooth and ProShox Cushioning system did a good job to minimize the deck impact on ankles, knees, hips and joints. The assembly process was very straightforward. The display is dim and not always easy to read in middle of your workout. The ProForm 520 ZN Treadmill is one of the most affordable options currently available on the market. 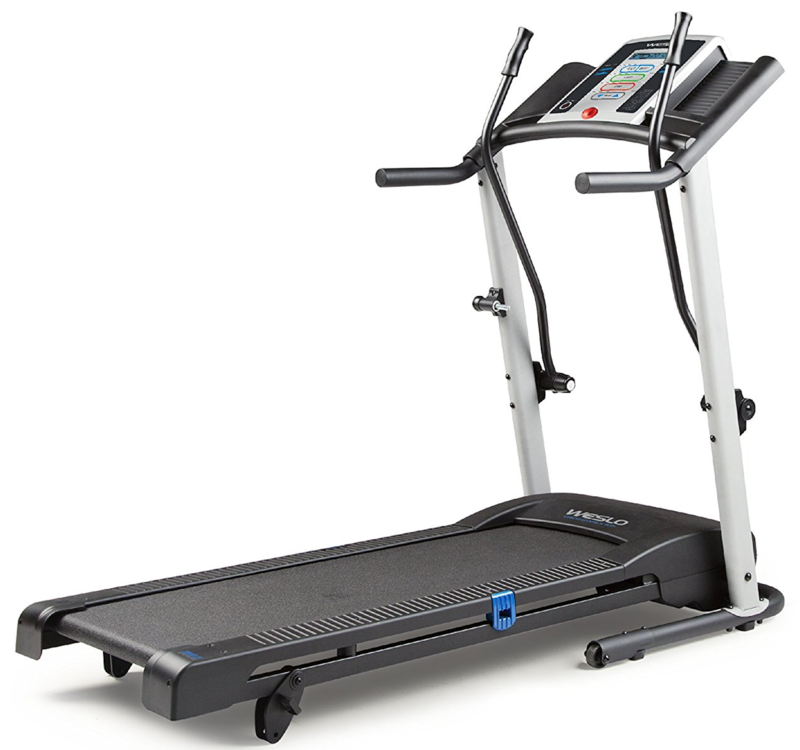 It’s a mid-range option from a trusted and reputable brand that makes high-quality treadmills at modest prices. 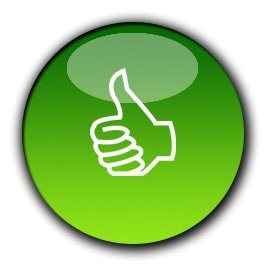 When compared to other brands at similar prices, it offers better features and solid warranty. The only downside is slightly dull display which needs to lit up. Overall, the 520 ZN Treadmill is a good choice for the money and our recommended buy for 2019. 10machines.com is a participant in the Amazon Services LLC Associates Program, an affiliate program designed to provide a means for websites to earn via advertising by linking to Amazon.com, Amazon.ca, Amazon.co.uk and other Amazon affiliated sites. 10 Machines Copyright © 2019.